Jeff has been working professionally as an actor in Edmonton since 1986. He is currently Artistic Director of Edmonton’s Teatro la Quindicina and Director of Programming at The Varscona Theatre. Jeff’s acting credits with Teatro include Stewart Lemoine’s new plays The Exquisite Hour, A Grand Time in the Rapids, Witness to a Conga and many more. He also performed in Mr. Lemoine's Pith! Off-Broadway at Theater Row Studios in New York, as well as in Toronto, Ottawa and Winnipeg. He has performed with almost all of Edmonton’s theatres over the years and is the recipient of five Elizabeth Sterling Haynes Awards for acting. He has also written and performed with CBC Radio’s The Irrelevant Show and is a founding member of Die-Nasty, The Live Improvised Soap Opera now in its twenty-first hilarious year at The Varscona. Glen Erickson has been involved in the Edmonton music community since 1997. He began booking and promoting local and touring bands in the latter 90’s as a joint venture with youth and teen outreach programs, where he began his ventures into artist management as well. In early 2002, Glen formed his independent recording label, Shameless Records Canada, as a hobby. It was a formal means to accomplish things he was already doing, assisting local independent talent in organizing their careers and the recording/manufacturing of their music. This hobby has developed into a full business venture over the years, with 23 releases in the catalog by a dozen different artists/bands. During this time he toured and recorded with several of the label acts before forming his own band, The Wheat Pool, who went on to release two critically acclaimed albums and complete multiple tours across the country. Erickson is a graphic designer by trade and has worked over the past years with two different local media companies before moving to a freelance business in early 2008. Much of his design time is spent with the local music community designing packaging and website/promotional needs. More recently he has devoted much of his time to assisting artists in refining their social media strategies and complete online presence. Glen Erickson has been a director on the Alberta Music Board since 2008, as Vice-chair since 2009, and Chair since 2012. Vivianne Favreau-Sparrow is an independent contract accountant and violinist who believes art is to be celebrated and embraced and has a desire to support the Edmonton arts community with her financial expertise. Peace of mind is at the forefront of Vivianne’s objectives when providing support to business owners, board of directors and finance teams. For the past 12 years, her services have included financial accounting process review and assessment, financial statement analysis and preparation, corporate tax, hiring of key personnel and employee mentorship. Vivianne earned her CMA, CPA designation while working in public practice and has experience in various private industry sectors. A violinist since the age of 3, she currently plays first violin with Orchestra Borealis, formerly known as Concordia Symphony Orchestra. In addition to life as an accountant, musician and Mom of two, Vivianne volunteers her time to various community, school and sport organizations. Noel Xavier has served on the Board of Directors of the Edmonton Arts Council for the past three years. With over 20 years of resource development and senior management experience in the not-for-profit sector, Noel has worked with social services, immigration, health and arts and culture organizations. In addition to management positions at Edmonton Opera and the Art Gallery of Alberta, Noel has served on the Board of Directors of the Nina Haggerty Centre for the Arts and Opera NUOVA as well as the Association of Fundraising Professionals (AFP) - Edmonton & Area Chapter. As an Advisor with Edmonton Community Foundation, Noel works with individual donors, families and local charities to build endowment funds and legacy plans that create strategic, sustainable philanthropic support in our community. For the past five years, Noel has worked actively with local arts organizations participating in the Canada Cultural Investment Fund initiatives of Canadian Heritage, a matching funds opportunity for professional performing arts groups. Since 2016, Noel has shared his fund development experience and personal interest in arts and culture with students as a sessional instructor in the Arts & Cultural Management Program at MacEwan University. Noel is thrilled to work with people who share his interest in making Edmonton a vibrant community. A graduate of the University of Alberta’s BFA Acting program, Pat has been an active member of the Edmonton theatre community for over 20 years, and is a two-time Sterling award winner. In 2001 Pat started writing plays; Carnival Magic, a play based on West Indian culture, toured Edmonton area schools with Concrete Theatre. Ribbon, about black settlers in Amber Valley, is a one-woman show she wrote and performed for her MFA thesis in Directing at the University of Alberta. Upon completion of her MFA, Pat studied Voice and Speech at York University, where her thesis was The Syringa Tree which she directed using voice and movement techniques from her year of study. Pat has taught as a sessional instructor at the University of Alberta and Concordia University College, and continues as a freelance artist with her fingers in many creative pies! A resident of Alberta since the early 1980s, Christopher experienced personal and professional journeys through three continents. That took him from tutoring and stocking shelves while at university to teaching architectural design in his native Poland, building technology in Nigeria, working briefly as a janitor in Calgary, and setting commercial displays for major home furnishings and decor chains in Edmonton. Along the way, Chris met people who helped him to realize his dream and goal of returning to his chosen profession and becoming a Registered Architect in Alberta. Now Chris returns such generous gestures to those who could benefit from advice, opinion, support, and engagement, contributing through professional associations and as one of the directors at HFKS Architects. 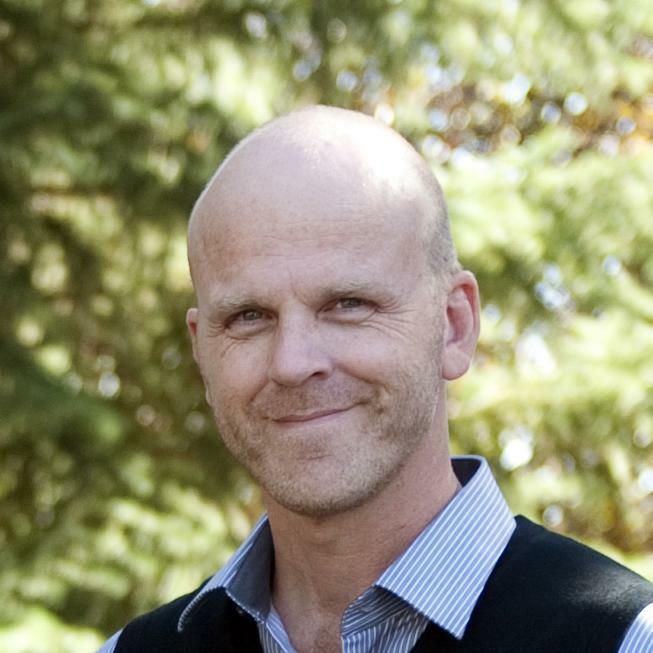 As a former Council Member of the Alberta Association of Architects and a former Chair of AAA Complaint Review Committee, Chris volunteered time and energy, and gained experience in governance of a profession that regulates the practices of Architecture and Licensed Interior Design in the province of Alberta. Since 2012, Chris has been an active member of the Procurement and Contracts Committee for the Consulting Architects of Alberta. Being immersed in an environment where various professionals can more easily collaborate and exchange ideas to better serve client and community needs deepened his understanding of merging various creative activities within an expanding sphere of civic interactions. Chris remains professionally entrenched and active in practice of the public and institutional architecture across Alberta. One of his advisory roles has been to participate in pre-selection of artists and implementation of art commissions for several municipal projects. Michael has been producing and creating films in Edmonton for 37 years and has mentored dozens of Albertans who continue to work in the industry — many of whom have moved to larger film centres such as Vancouver, Toronto and Los Angeles. He has also volunteered his time to create promotional videos and commercials for not-for-profits and ‘pitch’ videos for charities such as iHuman and Wellspring. Michael is currently on the Board of the Edmonton International Film Festival. Debbie Houle is Métis from the Elizabeth Métis Settlement in Northeast Alberta. She has been working in Edmonton’s Indigenous community for over 27 years. In 2011 she was elected to the Board and served for four years as President of Aksis, Edmonton’s Aboriginal Business and Professional Association. In her fulltime role as a Liaison Officer with Alberta Indigenous Relations she works with First Nation Chief and Councils in Alberta managing the First Nation Development Fund for economic, social and community projects. As one of five founding members of Asani she has been composing, arranging and performing original compositions in English and Cree since 1997. Asani has recorded two compacts discs entitled “Rattle and Drum” and “Listen”. They continue to perform and collaborate with other artists on new projects that share the rich culture of First Nations and Métis people. Debbie is passionate about improving the opportunities for other artists and recently created the Alberta Network of Indigenous Artists aimed at connecting artists in all disciplines with opportunities to present, perform and share their work. Born and raised in Edmonton, Morgan is currently practising as a criminal defence lawyer with Hatch McClelland Moore. Morgan has been involved in the arts since falling in love with ballet as a child, although she didn't discover her love for theatre until she was an adult. Morgan sits on the steering committee for Edmonton's annual Lawyer Play with the Players de Novo, and for the last two years has participated in the Edmonton Fringe Festival with the Novus Actors. She is delighted to be able to contribute to Edmonton's arts community in a new and exciting way. Uniquely diversified experience blending in an array of genres in Television and Film, underpinning a career story about a professional who can make miracles happen! Solutions-driven, inspiring, and creative with an inquisitive mind, explorative nature, and adventurous spirit balanced with sharp business acumen; the discipline to tackle the impossible to produce memorable, impactful, provoking stories. Heavily research-driven, diving into pre-project investigative work to reduce risk while sustaining “big-picture” focus. Over the years, Mark has lent expertise and built strong bonds with arts-based nonprofit groups as a board member and has partnered with media co-ops to raise awareness and spread accurate information/program promotions. Formerly, Mark served as Vice-President of FAVA (Film and Video Arts Society Alberta) and also served two terms as a director at large of Metro Cinema Society. He is a Permittee Member - IATSE 210, and Producer Member - AMPIA (Alberta Motion Picture Industries Association). Mark spent over a decade as Production Supervisor for the National Film Board of Canada’s, North West Centre Studio. His consultative services to government officials has helped fortify a positive public image through the design of campaigns covering public issues, protocols, and messaging. Over the years, he strategically managed and intelligently allocated a budget of $60,000 annually, as the administrator for the FAP - Filmmakers Assistance Program. He is a well-recognized community connector and workshop instructor versed in the disciplines of documentary filmmaking and storytelling. Mireille has recently been appointed the Executive Director of Pro Coro Canada after serving as General Manager since September 2016. She has sung with the choir since 2003, and joined the Board as a singer’s representative in 2003. As a mezzo-soprano, Mireille has been heard many times on the CBC as soloist and has appeared with the Alberta Baroque Ensemble, the Richard Eaton Singers, Pro Coro Canada, the Edmonton Metropolitan Orchestra, Concordia University Corus and Orchestra, Opera Breve Vancouver, Western Concert Opera, Opera Lyra Ottaea, and in productions supported by Edmonton Opera. Mireille is also in demand as a cabaret singer: she presented her cabaret Brie, Baguette and a Broad many times in the last 10 years. Mireille was a Music Faculty at the University of Alberta’s Campus Saint-Jean from 1999 to 2012 and was on staff at Concordia University of Edmonton from 2006 to 2016 as a voice instructor, Manager Program Coordinator of Concordia’s School of Music. Mireille is a member of ARMTA (Alberta Registered Music Teachers Association), ACTRA (Alliance of Canadian Cinema, Television and Radio Artists) and NATS (National Association of Teachers of Singing). Don Robinson is a management consultant with special expertise in the Arts and Culture sector. He was Executive Director of the Friends of University Hospitals from 2007 to 2018. The Friends are responsible for the Arts in Healthcare program at the Hospital. This program includes management of the McMullen Gallery, the Artists on the Wards program and the two-thousand-piece visual art collection. While with the Friends he oversaw the installation of a half-million-dollar visual art collection at the Kay Edmonton Clinic and the opening of a second retail outlet at Mazankowski Alberta Heart Institute. He has been a member of the EAC since 2006 and the Alberta Museum Association since 2007. He served as the Finance Chair for Harcourt House from 2006-2009 and on the Winnipeg Arts Council Board of Directors from 1996-2000. He was the Controller for the Manitoba Arts Council from 1985-1997 and Manager of Finance and Administration for The Winnipeg Art Gallery from 1998-2003. Kent Sutherland has both a B.Mus. (Euphonium) and B.Ed. (Music Major; German Minor) from the University of Alberta, a certificate in Arts & Cultural Management from MacEwan University, and his Grade 10 Voice from The Royal Conservatory of Music. 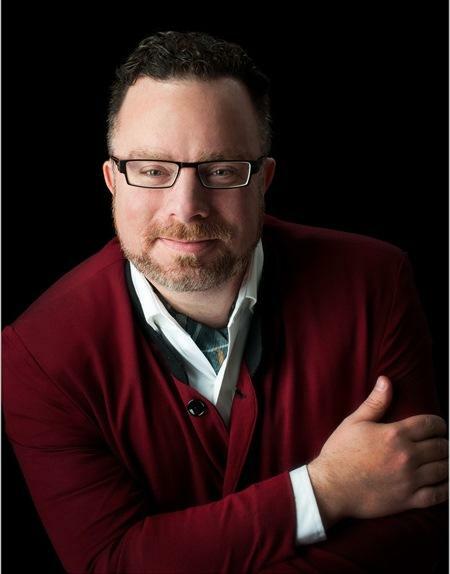 He has been involved in the Edmonton arts scene in various facets from a very young age – including having been a long-time member of Edmonton’s Greenwood Singers – and is proud to be a voice for community (non-professional) arts organizations. Kent also works extensively in the arts – including having been the part-time Administrator at Walterdale Theatre for seven years, and running his own company Sutherland Productions – an event planning/marketing, media relations, PR, volunteer coordination, consulting, etc. company whose clients have included: Greenwood Singers, the Edmonton Kiwanis Music Festival, the Shean Strings & Piano Competition, Edmonton Columbian Choirs, Festival City Winds, Opera NUOVA, the Federation of Canadian Music Festival (which runs Canada’s National Music Festival), Dining Out For Life® Edmonton, the New Edmonton Wind Sinfonia, the Royal Canadian College of Organists (RCCO) Edmonton Centre chapter, and the Edmonton Chamber of Voluntary Organizations (ECVO). He is also the Syllabus Coordinator for the Alberta Music Festival Music Association (AMFA). More recently, Kent has renewed his love of taking to the stage in musicals – including having been in the ensemble of The Best Little Whorehouse in Texas (Walterdale), portraying ‘Mr. Lindquist’ in Sondheim’s A Little Night Music (Festival Players), ‘Mr. Etches’ in Titanic (Two ONE-WAY Tickets to Broadway), and ‘Lord Evelyn Oakleigh’ in Anything Goes (Walterdale).